Here is how the big boys fight … Not with fist punches, but public jabs … This fight shows what a “Black Ice” investment landscape we are in ! Quantitative Easing (QE 1,2,3) AKA Federal Reserve Purchases of Government and Mortgage Backed bonds to lower interest rates, has been a lightening rod since introduced. We agreed with QE 1 and maybe QE 2, but not QE 3 …. 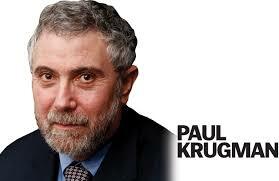 ….Responding to Krugman is as productive as smacking a skunk with a tennis racket. But, sometimes, like many unpleasant tasks, it’s necessary. I will, at least partially, make that error here …. 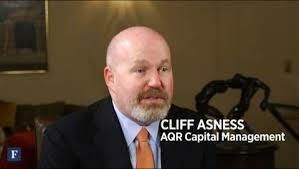 …..Clearly, Asness has never read anything at all on the subject — not what I’ve written, not what Mike Woodford has written, not what Ben Bernanke has written …..
… if you’re one of those people who don’t have time to understand the monetary debate, I have a simple piece of advice: Don’t lecture the chairman of the Fed on monetary policy. Sounds like fighting words to me … Guys … Let’s be orderly and nice! Have a Friendly and “Nice“ Monday ! This entry was posted in Investing/Financial Planning, Market Comments and tagged Cliff Asness, Paul Krugman, QE, Quantative Easing, Skunk. Bookmark the permalink.